By implementing green practices, the Zoo is doing our part to reduce our impact on the planet and the species we share it with. 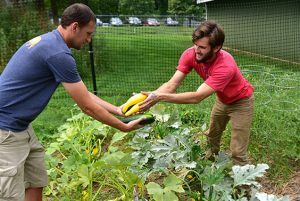 The Zoo’s sustainability program is growing, quite literally, in the Commissary Department. With so many mouths to feed here at the Zoo, our grocery list is a long one. That’s where the Zoo’s garden comes in. 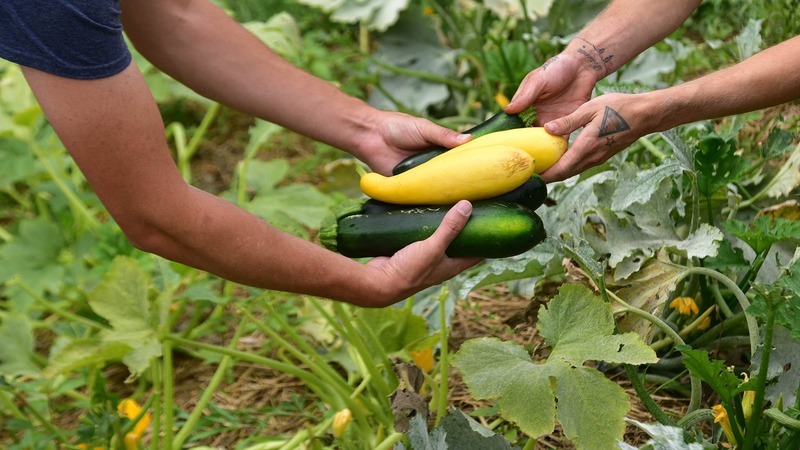 Growing food for the animals helps to offset some of the cost and environmental impact of retail purchases. 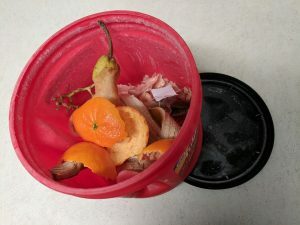 The Maryland Zoo works hard to collect and compost leftover food waste and other organic materials that can be added to soil to help plants grow in the Zoo’s garden. This effort keeps these biodegradable materials out of landfills and back in the ground to enrich our animals’ organically grown food. It’s not just food scraps and coffee grounds that are being composted across campus, but fire ashes as well! Each month Public Programs hosts a Zoo Snooze where participants gather around a firepit (filled with wood provided by Horticulture) to learn about conservation under the stars. Once the fire has died down and cooled off, the leftover ash is collected and composted! This wood ash helps to maintain the neutral condition of the compost. Recycling is an easy way to save energy, reduce air & water pollution, and reduce the amount of solid waste in landfills. 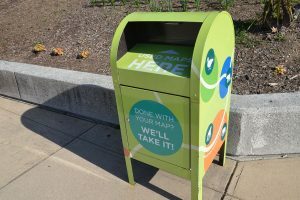 Whether it be plastic bottles, paper plates, or cans, the Maryland Zoo has recycling bins around grounds to properly dispose of recyclable products, right down to your Zoo map! If you’re not keeping it as a souvenir, make sure you dispose of it in the box to the left, near the Zoo’s entrance. 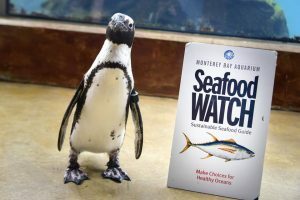 The Maryland Zoo partners with Seafood Watch as a way to further our efforts to conserve African Penguins. The seafood watch program guides consumers in making seafood choices that have the smallest negative impact on the environment through their printed guide, website and mobile app. Overfishing is a serious issue that causes wild penguins to have to compete more, swim further and wait longer to find food, which puts their survival at risk. As a Seafood watch partner, we can empower our visitors to make choices in their own lives that protect African Penguins in the wild.